At Inspira Group, we know that sometimes it takes a winning touch to sell a home. With our entrepreneurial spirit and extensive experience in real estate, our agents have what it takes to put your home on the market and see results. Our real estate agents will walk through each step of the sales process with you. We’ll help you get your home sales-ready, set a realistic price range, and market your home. We promise to communicate expectations upfront, and to take out the guesswork that can accompany selling a home. We want you to have a clear understanding of the selling process and all of your questions answered, so that the process is as smooth as possible. Having well presented and accurately priced home is crucial to a smooth closing process. We want your home to look top notch and sales ready. We also want you to have a clear idea of how much your home is worth. Our Inspira agents will make recommendations for you regarding the pricing and presentation of your home. Of course, at the end of the day, we work for you and will support the price you decide to sell. Once we get your home ready to sell, we’ll proceed to the next steps: follow-up, marketing, urgency, and of course, negotiating the price and terms of an offer. We take a proactive approach to help close your home at a higher price. We ensure a smooth process for all parties involved when closing your home. Our in-house escrow helps to make the process easy and enjoyable for everyone. 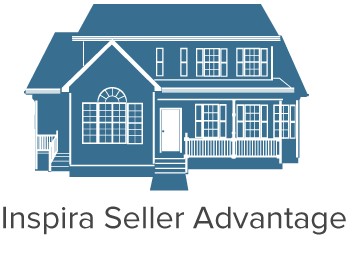 Inspira oversees the sales process, right up until your house is sold and the moving van arrives! We work hard to give you an exceptional selling experience, from start to finish.